"I am your father." 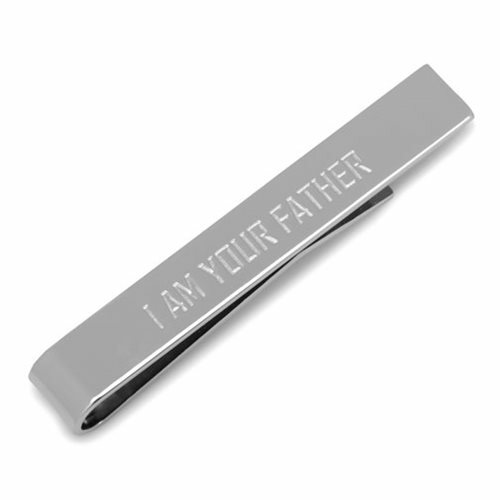 Use the power of the dark side to secure your tie with this Star Wars Darth Vader Message Tie Bar, which displays Darth Vader's most iconic quote. This tie bar, inspired by Star Wars, is a great way to keep your tie in place while showing off your fandom. Measuring approximately 2-inches wide x 1/4-inches tall, it is constructed by black and gold plated base metal.